Everyone makes mistakes. Mostly, they’re easy to put right. But some can be so serious they threaten the survival of a business. That’s why we have Errors and Omissions Insurance, or E & O Insurance as it’s sometimes called — to protect you if you make a serious mistake that lands you in trouble. Your business may be successful, but there’s always the threat of a lawsuit — sometimes even when you’re not at fault. In today’s litigious society, are you prepared to cover the costs? You don’t want your business health to rely on never making a mistake. They happen –especially when you can’t personally be involved with every job. It’s time to call in the Ontario E & O Insurance experts at Secure Insurance Solutions. We can protect you quickly and competitively. We can answer your questions. And we’re here to support you when you need it. First, let’s answer a few questions. Wondering what the purpose of errors and omissions insurance is and how E & O Insurance protects your business? In a nutshell, it’s a type of professional liability insurance that safeguards you, your employees and your business against the cost of defending lawsuits and paying awards or arbitration settlements for making mistakes or failing to provide important information. That happens more easily and more often than you might think. And the cost of putting things right could cause your organization massive financial damage unless you’re covered by Errors and Omissions Insurance. You may think you’re covered against these risks through your Commercial General Liability Insurance, but you’re not. That policy covers physical damage such as personal injury or damage to property. Errors and Omissions Insurance, covers you for what the name implies — mistakes. Almost any business, including small firms, can be at risk of making inaccurate statements, even unintentionally — for example, by making mistakes or giving misleading information in advertisements, marketing materials and financial statements. Financial and investment advisors are particularly at risk but other types of consultants could be exposed to the risk of being sued for statements they make. The same goes for people involved in design, from architects to website and software developers. Even sporting organizations like golf clubs can be at risk. 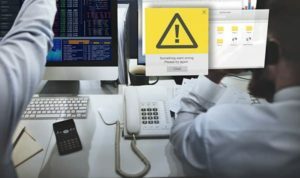 Data breaches are another source of potential complaints under the E & O banner if it’s suggested that a firm’s security processes may have been inadequate. If you’re still wondering ‘Do I need Errors and Omissions Insurance?’ the best way to find out is to ask the experts at Secure Insurance Solutions. It won’t cost you anything to find out. At Secure Insurance Solutions, we can help you protect your Ontario business from attorneys” fees, court costs and any liability judgment (up to limits specified in the policy) with an Errors and Omissions Insurance Policy. But we can do much more for you. Risk management guidance to reduce your exposure to E & O dangers. Review of existing Errors and Omissions Insurance policies to ensure you’re properly protected. Best value protection and valuable savings through our relationship with multiple insurers in Ontario. Help and support with claims. We stay in touch to make sure your business is always properly insured. We also provide all other types of business insurance — and our consultation services are free. When it comes to Errors and Omissions Insurance, the biggest mistake you could make could be to think you don’t need it — and discover too late that you did. Let us help you and put your mind at rest. We can answer your questions and/or deliver a fast, free quote for your Errors and Omissions Insurance. There’s no obligation, but if you want protection, we can put it in place faster than you might think. So, there’s no reason to delay. Click on the Free Quote button now and let us get working to protect your business.